After learning that one of Blair Moody Elementary School’s first graders is battling leukemia, the Student Council wanted to find a way to help. They found it in the Olive Garden’s Pasta for Pennies! program benefiting The Leukemia & Lymphoma Society. Students collect money and after a few weeks the class that has collected the most money for The Leukemia & Lymphoma Society will be treated to an Olive Garden lunch at school. Two weeks ago students were provided with collection boxes to take home and keep in their classroom. Student Council members have been hard at work collecting and counting the donations daily. During the morning announcements students have also been learning a little bit about Leukemia and Lymphoma every day. The competition for the Olive Garden lunch is close. With only a few days left, there are four classes that have each collected over $100. In total the school has collected nearly $800 for The Leukemia & Lymphoma Society. Blair Moody’s Student Council is comprised of 10 students from the third, fourth, and fifth grade classes. These bright, young, leaders are dedicated to making a difference in their school and community. They are off to an amazing start. Holland Elementary School came to visit the TITAN Alternative High School for Halloween and it was so much fun. The Holland students went from room to room to get treats and Titan students helped the much younger students with crafts. Ms. Kendra's fourth-fifth-grade and Mrs. Elkar's fourth-grade classes at Myers Elementary School were happy to welcome DTE this week. During the presentation by DTE the students learned about different types of energy and how to conserve energy in their homes. Each student that participated in the presentation was given an energy kit that contained energy saving light bulbs, a new showerhead, a shower timer and many more items for their home. Mr. Young's and Mrs. Scarpace's first graders at Holland Elementary School received a lesson on dental health from Ms. Michelle. Ms. Michelle is a dental hygienist. 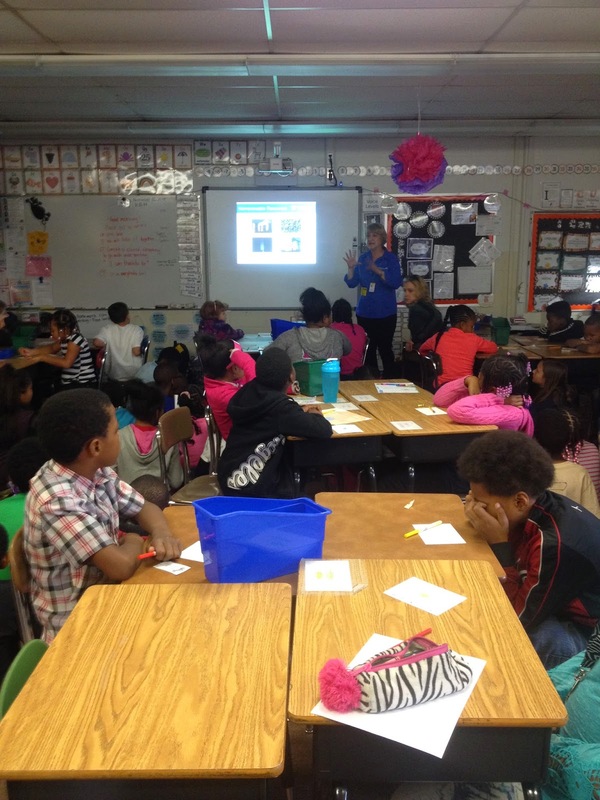 She discussed proper tooth care and brushing practices with the students. She brought in her stuffed T-Rex, Dudley the Dinosaur, to demonstrate how to correctly brush teeth! At the end of the lesson, all students received a dental care package! RANDALL ELEMENTARY SCHOOL: It's time for the box top challenge! Randall Elementary School has been collecting “Box tops For Education” for many years. For the month of November the Mustangs are having a contest to see what class could collect the most box tops. The top lower elementary school class and upper elementary school classes will receive a pizza party. So far during the contest, students have collected $757 in box tops. This year alone we earned $1,500 from sending in box tops. 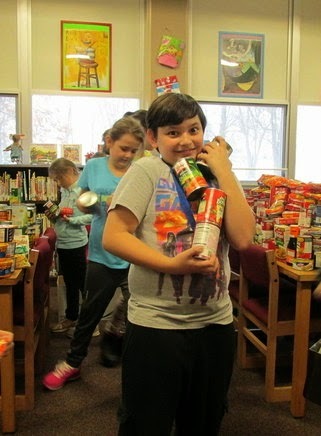 The Taylor Parks Elementary School Student Council sponsored a canned and non-perishable food drive to help out families in need. Once again, Taylor Parks’ families proved how generous they are. These students advertised, collected, sorted and boxed these items, with the help of Mrs. Bergeron and Mrs. Zirkle, teachers at the school, and the wonderful ladies of the lunchroom, who donated their free time to help. The Student Council was able to gift these boxes to more than 30 families who needed a little help this holiday season. Mayor Rick Sollars visited his old stomping grounds and was entered into Hoover Middle School Hall of Fame Monday morning. He spent about an hour being interviewed by the Hoover Hawks' Voice Newspapers staff, which did an excellent job of putting the mayor "on the spot" on issues from running the City to his days at Hoover and the importance of a good education. me is a new project focusing on bringing alumni back into the building and giving the students there plenty of good role models. The Hawks' Voice staff and the teaching staff should be commended for their efforts. The Hall of Fame is being posted on the main hall entering the building and offers a photo of the honoree in front of the school's logo, and a brief description of person's accomplishments. The editor of the newspaper plans to send the interview to Talking Taylor Schools, which will post it in the near future. The newspaper staff plans to induct State Sen. Hoon Yung Hopgood next month. HOLLAND ELEMENTARY SCHOOL: It's a road trip!